This year should see us launch Run An Empire for Android, and in some new territories. In preparation for this we’ve launched a quick survey with two purposes – firstly, to find out what players think of the current game and what’s needed to make it better, and secondly to find out what sets Run An Empire players apart from the crowd. As a thank you to participants, we’re giving away a £15 Amazon Voucher every week through February and a grand prize of £100 in vouchers at the end. If you haven’t taken the survey already, you can do so here. It takes around 3-5 minutes to complete. We’re one week into the survey and have been bowled over by the response so far. Getting to know our audience on a deeper level is truly exciting and we can’t wait to find out even more. We thought we’d share some of the feedback that’s been coming in. 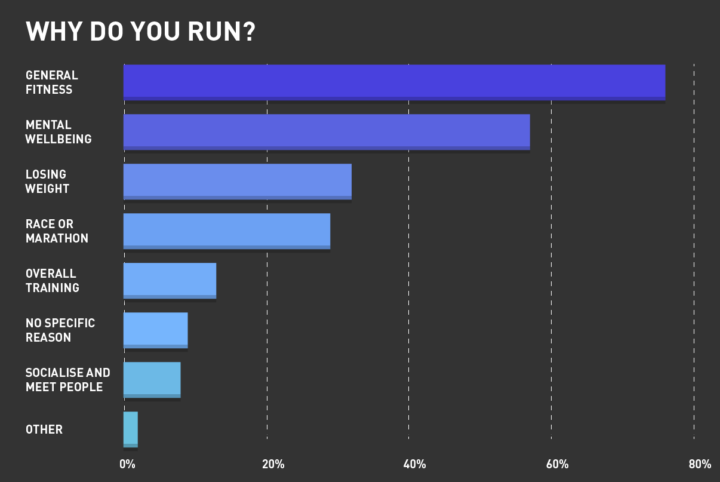 46% of you have told us that Run an Empire has helped you become more active – which is great! 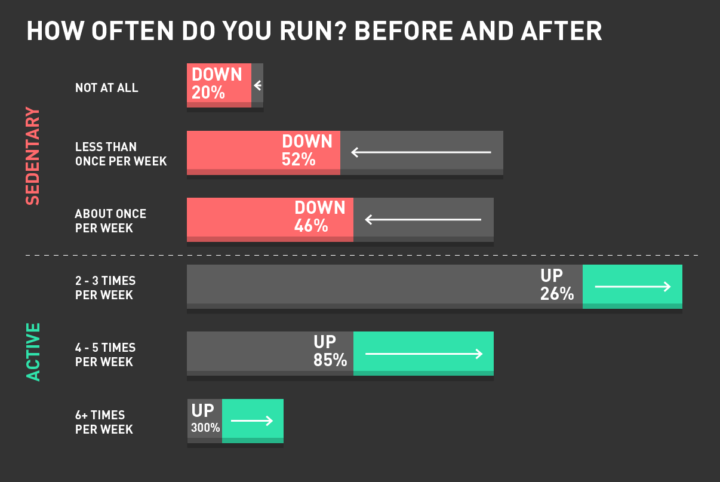 From that group, over half of you were previously active once a week, or less. We’ve been super surprised to see that 57% of you get out there to support your mental wellbeing. (We thought it was just us!) This is something we’ll definitely be thinking about more. 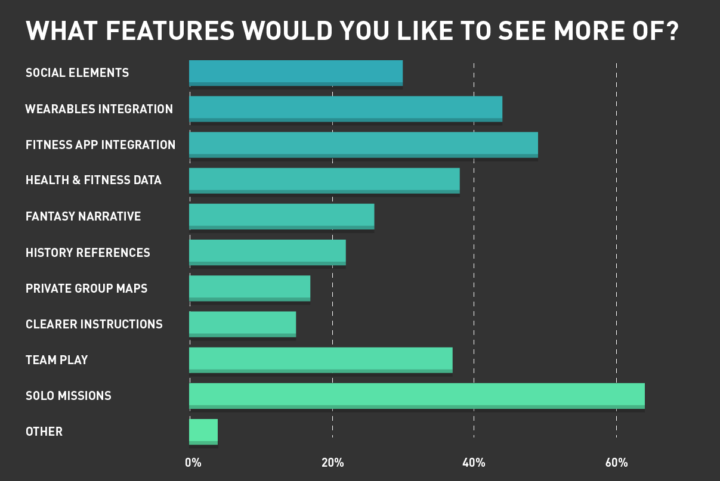 More interesting info here – single-player content seems more popular than we originally anticipated. Maybe that’s something we should be talking more about in our planning sessions – good to know. Congratulations to Katherine Jennings, who is the winner of our first weekly draw. We hope you’ll treat yourself to something glorious. If you want to be in for a chance to win next week’s voucher, take part in the survey. If you’ve already completed it, you’ll still be part of the drawing pool for next week. Thanks to everyone that’s given feedback so far. Don’t forget to share the survey with your friends on Facebook or Twitter (they don’t need to be players to enter).